I’m Charlie Nardozzi and this is the Vermont Garden Journal. I was planning on planting the vegetable garden in May or early June in our new home. I really was. But rain, work delays and mud stopped me in my tracks. But did that stop this intrepid veggie lover. No! My wife Wendy and I just planted a fall veggie garden last week and you can, too. While most lucky gardening souls are noshing on fresh tomatoes, squash, beans, and cucumbers, remember to make room for a fall garden. Many cool weather loving veggies thrive in September and October in our region. Kale, spinach, peas, radishes and beets are some of the veggies that can be planted now for a fall harvest. The key is finding the motivation and room to plant. The motivation should come from fresh, produce picked from your garden into October and November. The room comes from being merciless. Pull out any old bean plants, wilting cucumbers, struggling tomatoes, or bolted lettuce. I know, there’s a few flowers still left on the cucumbers and I thought I saw new growth on the beans. Yank them. Those plants may limp along, but you’ll get more satisfaction out of a lush fall crop than nursing those babies. 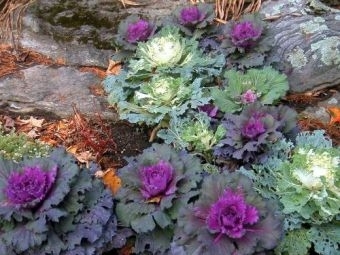 Plant quick maturing varieties such as ‘Golden Sweet’ flat podded snow peas, ‘Bull’s Blood’ baby beets , ‘Winter Density’ lettuce, ‘Red Russian’ kale, and ‘Winter Bloomsdale’ spinach. Recreate raised beds, amend the soil with compost and plant seeds. It can actually be too hot for seeds to germinate, so keep them cool with water and shade. I like to mulch the whole bed with straw or untreated grass clippings and water well after planting. Once they’re up, push aside the mulch and let’em grow. Now for this week’s tip, if your phlox leaves are turning yellow with white growth on them, it’s most likely powdery mildew. Control this disease by growing resistant varieties such as ‘David ‘ and spraying Serenade organic fungicide to prevent its spread. Next week on the Vermont Garden Journal, I’ll be talking about pears. For now, I’ll be seeing you in the garden! Vermonters get back to their roots … and their tubers, and their hardy greens. Health officials say only 13% of U.S. high school students get at least three servings of vegetables a day and just 32% get two servings of fruit.